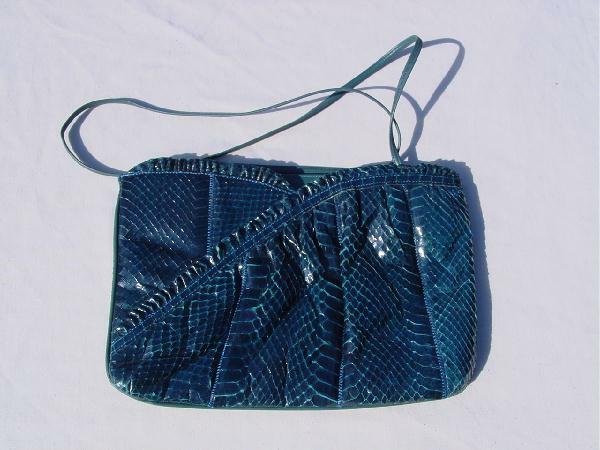 This vintage dark teal with forest green undertones snakeskin purse has a thin forest green 39" shoulder strap and an interior rim. 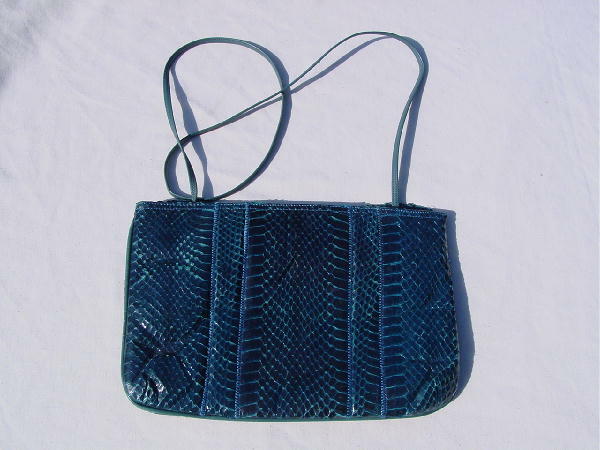 It has side hinges and the strap can be tucked in so you can carry it as a clutch. It is lined in black fabric, and there are two interior pockets, one of which zips. The front has a ruffle crossover design which dips in the center. It's perfect for both day and evening wear. A model carried it in a magazine photo shoot with a Christian Dior asymmetrical wrap jean dress and tan high heeled boots, and liked it so much she bought it. She sold it because she needed money.